SEO is very much a long-term strategy but, if you’re in need of a fast solution to lead gathering, Google Search advertising cuts corners that SEO can’t. By paying the search engine directly, you can skip the queue and appear at the top of search engine results. 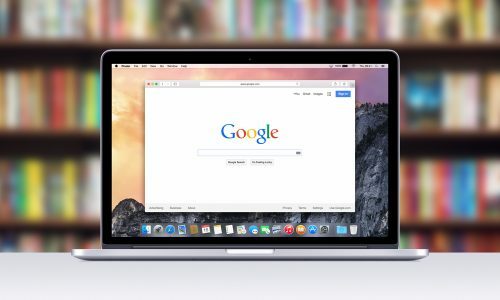 So, let’s take a closer look at what Google Search advertising is and how it can benefit your business. How does Google Search advertising work? Google Search ads appear on Google as ‘sponsored’ links on the first page of the Google search results and run on a pay per click (PPC) structure. In simple terms, this means that you pay for online advertising space according to the number of people who interact with your ad. The overarching goals of Google Search advertising are to increase web traffic, promote online transactions and elicit more inquiries about your products and services. Essentially, Google Search advertising provides advertisers a quick and easy way to buy the attention of online searchers, rather than ‘earning’ their click with a long term search engine optimisation (SEO) campaign. There are various types of advertising across multiple platforms that are based on the PPC structure but all are based on a bid system. This means that, as an advertiser, you can elect a maximum spend per click and the platform will not exceed this figure. This makes it a worthwhile platform for the full spectrum of marketing budgets. Once you’ve selected a maximum bid, your ads are set against your competitors and are ranked according to their relevance to the searcher and how much you’re willing to pay to get your ad seen. If your Google Search advertising campaign is effective, the cost of the click will be far outweighed by the return on the conversion. Just because you make a bid, your ad is not guaranteed to make it onto the page. Competing ads are ranked based on their quality score, a combination of factors measured by Google. The search engine Goliath has made it clear, through all their algorithms, that their #1 priority is providing helpful information to searchers. Just as the quality of your website informs your SEO rank, the quality of your Google Search ad is based on the experience users have with your ad. As a result, an ad’s quality score can affect the cost per click (CPC) and rank of your ad (ad rank). The better the experience viewers have with your ad, the better your ad will perform. While your quality score is important in creating a good ad, you will do far better if you shift your focus away from optimising for quality score, and rather focus on optimising for the viewer. Delivering valuable information to your audience should be your number #1 priority. Do that, and your quality score will improve. It is important to note that your quality score is a diagnostic tool, not an indication of performance. If your quality score is low, it doesn’t mean your ad is bad. Your quality score is relative to your competitors. A low quality score just means that your ad isn’t performing as well as your competitors. How is your ad rank determined? Ad rank refers to the position of your ad on the search results page. You want your ad to appear close to the top so that it’s seen by more people. Your ad rank is determined using your quality score and the bid you make. If you have a low quality score and a low bid, you’re not likely to reach many people. If your bid isn’t high enough to rank at all for a particular ad, you will be notified to increase your bid. The trick is to have a good enough quality score that you can influence your rank using your bid. Google Shopping is an extension of Google Ads and allows advertisers to set up shop through the Google portal. This particular form of Search Engine Marketing works through the Google Merchant Centre. There, you can create a digital product feed that will display relevant products to searchers at the top of the search results pages. This form of advertising is only available to eCommerce advertisers who sell tangible retail products - you can't list services in Google Shopping. Once you have uploaded your products in a format that Google can interpret, the search engine will determine when they appear based on the quality of your feed, your website and the bid you make through the Google Ads suite. What do I need to set up Google Shopping? Tangible products available on an eCommerce website. A product feed with data (including images and prices) on all the products you want to feature. Ad spend to bid on ad space for each product. Google Shopping is a complex system but, when managed properly, can be a high-converting stream of advertising. To get the most out of your budget, constant monitoring and tweaking is necessary, based on interpretation of the data gathered from viewer interactions with your product feed. The best option is to get a professional to keep track for you. Think about what actions you’d like your website visitors to perform i.e. is it to call you, fill in a form or make a purchase? Google Search advertising is a complex beast that, if you don’t know what you’re doing, can chew through your advertising budget very quickly. Reduce your ad spend and get more qualified leads with Netregistry's managed Google Search Advertising services. Chat to one of our Online Solutions Advisors today and start reaching the right customers.